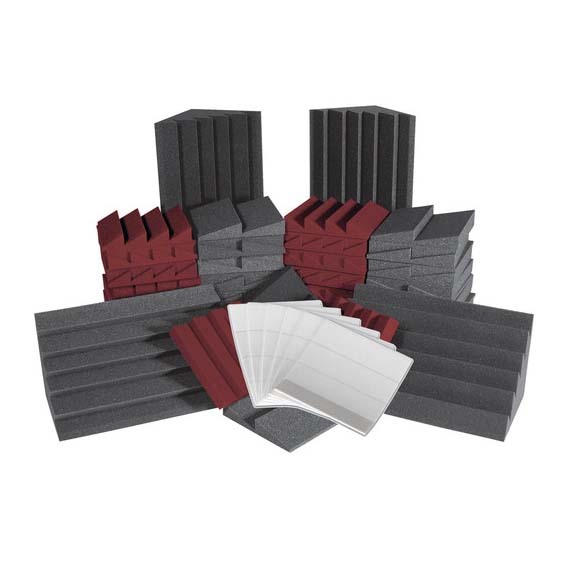 More on the Auralex Acoustics Alpha-DST Roominator Sound Control Kit (Burgundy and Charcoal) ROOMADCHABUR below. 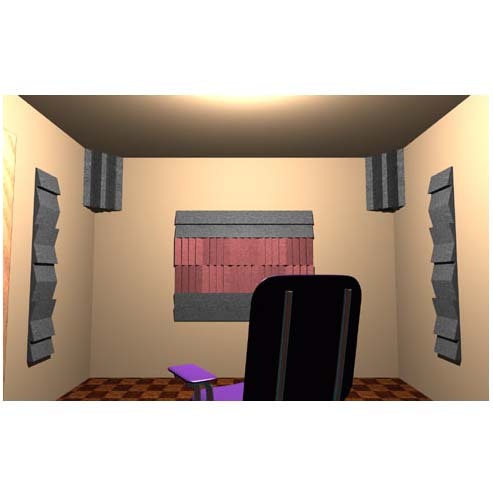 Auralex's Roominators Designer Series Acoustical Sound Control Systems offer an easy, affordable solution for sound control problems in common-sized rooms. Each kit is designed for easy installation with no formulas, no detailed dimensional mathematics and no physics required! 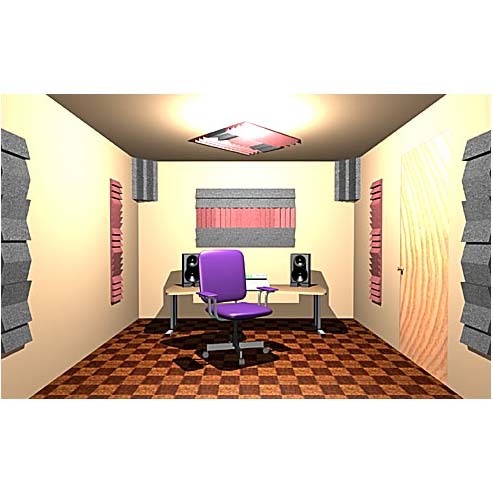 Roominator kits span a wide variety of applications, addressing the acoustic and aesthetic needs of both small project studios and demanding, professional mix/mastering environments. Eliminate unwanted slap and flutter echo with easy spot treatment! 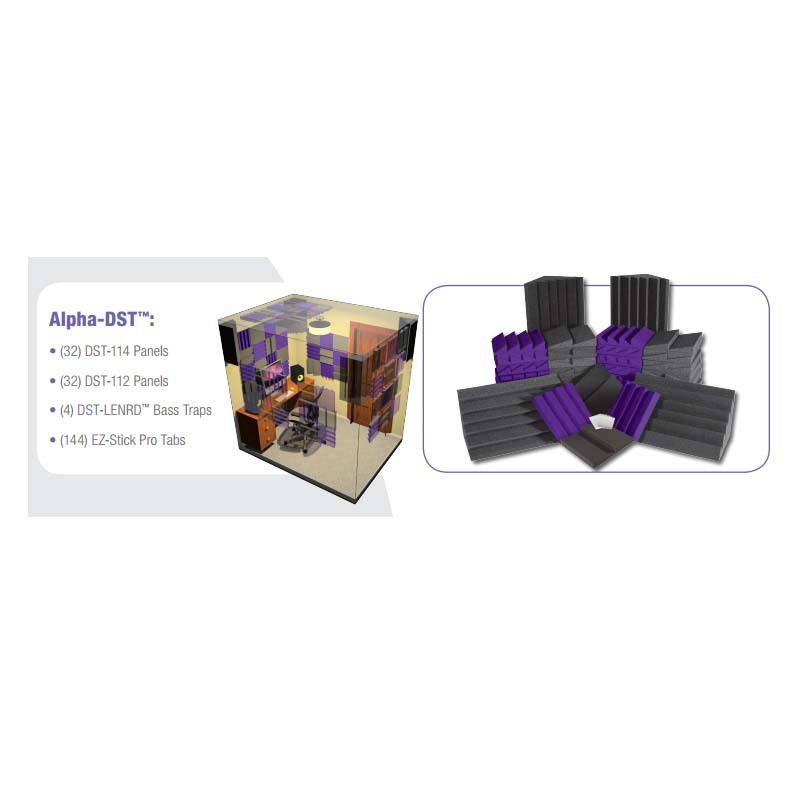 The Alpha-DST Kit is designed primarily for rooms with a floor square footage of <100 ft/sq. 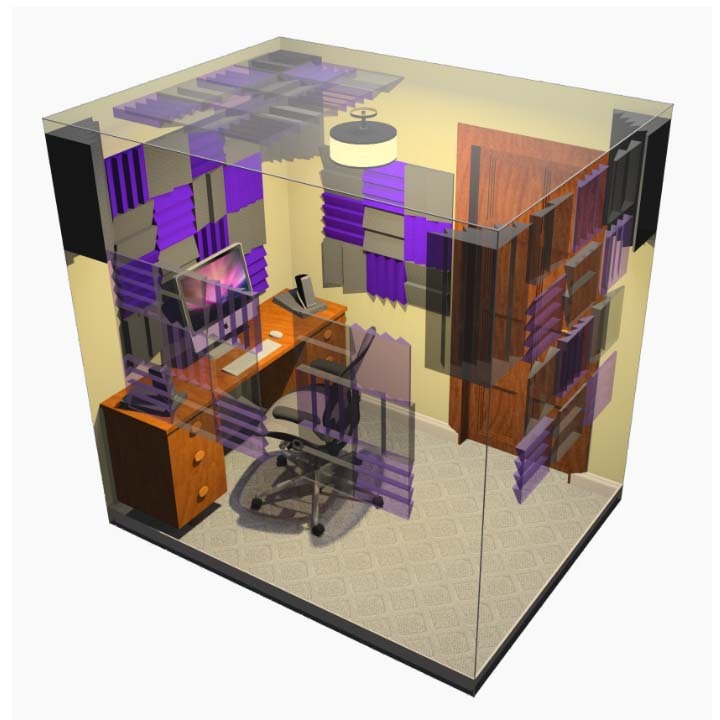 The shortest room dimension should be 6-8 feet. 32 DST-112 panels in Charcoal Gray. 32 DST-114 panels in Burgundy. 4 DST-LENRD Bass Traps in Charcoal Gray. 144 EZ-Stick Pro Tabs Adhesive Tabs. Easy installation, using included adhesive tabs. 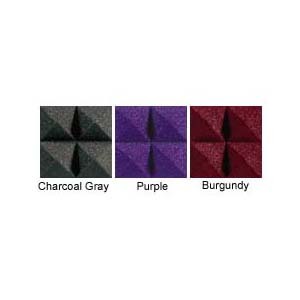 3 available color choices: Charcoal Gray, Burgundy, and Purple. See related products below. 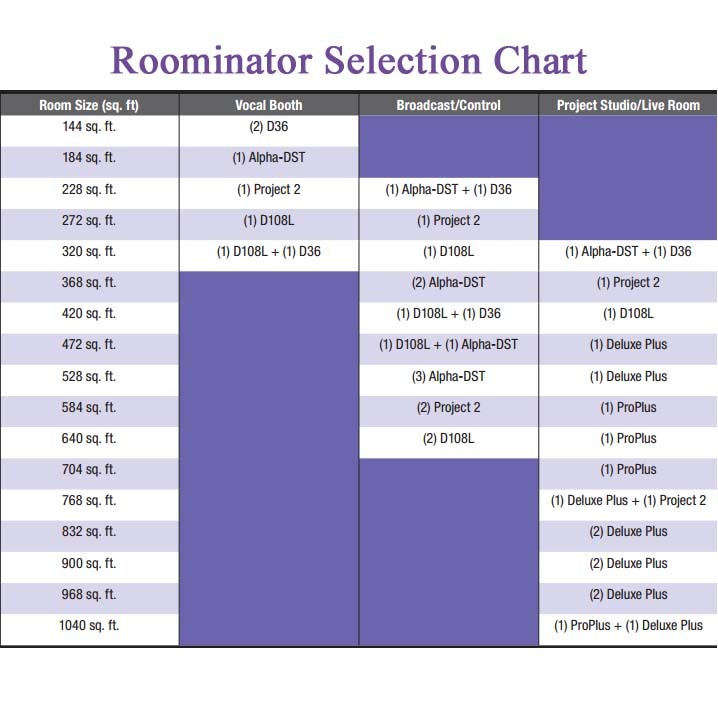 Click Here for the Roominator Designer Series User Guide.